Thirty posts in thirty days doesn’t *seem* like it’s going to be too taxing, but believe me, it really is. I have no idea how some bloggers do it, but I confess writing every day has been a challenge. So what have I learned? Well, I write a lot. I’m sorry, but I can’t help it! I have a tendency to waffle but heck, that’s my style and it’s served me well since 2007! I don’t like to post meaningless, superficial updates to my blog if I can help it, and that obviously contributes to the length of time it takes me to write a post. Of course that’s not taking into account creating the images that need to go with each entry; another time-consuming task even though my skills are somewhere near the bottom of the league;and then there’s the fact that if I ever get sent any items to review I have to take my time and write a proper review. Look, if a thing is worth doing, it’s worth doing well, and I’m a typical Virgo in that sense. Would I do such a challenge again? Hmm..perhaps, but probably not. It’s proved that my regimen of updating the blog a few times a week (usually three) works best for me. By keeping to that schedule I have the time to consider what I’m writing and compile an interesting post for readers. I can take my time over it, and it fits better into my real life schedule. But this challenge has really opened my eyes to some great writers out there, and I’ve been impressed by my fellow bloggers. Here are four blogs that I have really enjoyed, although of all my fellow bloggers that contributed to the challenge are pretty darn good! Alex and Hero are relatively new bloggers and I’m now a huge fan. I love their styling and writing and have added them to my follow list. The blog is fresh and fashionable and promises lots of great pictures and posts! Stuffery is another blog I’ve fallen in love with. I really like the fact that the writer, Anarya Elderslie, is evidently a Whovian, and she also inspired me to obtain my own disclosure policy, so thank you for that! A final thought: thanks to everyone involved in creating this challenge and bringing it to Second Life. It’s been hard work, but definitely worth it. 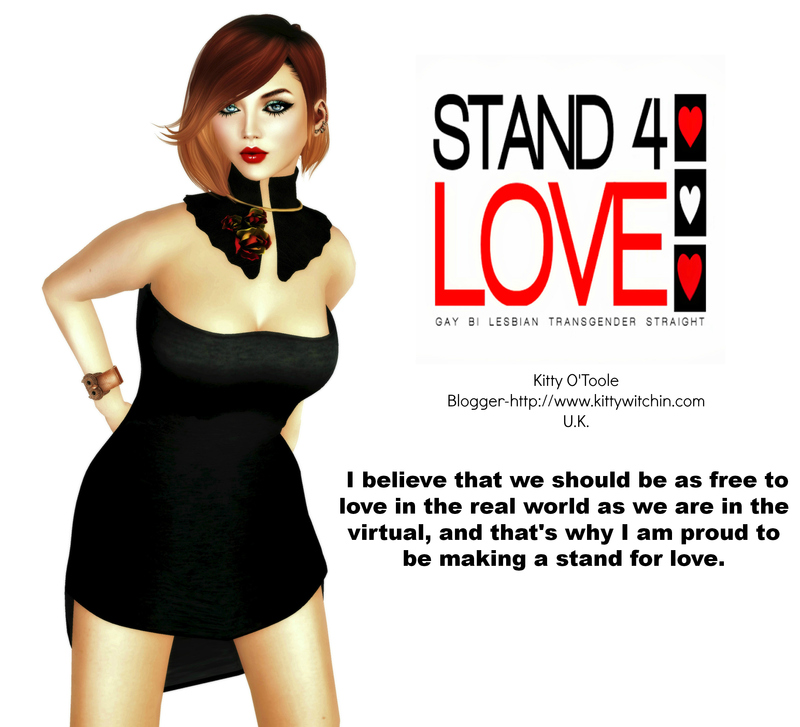 Second Life has a lot for us bloggers to write about, as I hope that this challenge has proven! Here’s the list of contributors again, and well done everyone! Aw, thank you so much for liking my blog. Fangirling?! WOW! That’s awesome, thanks!! And great work, LOVE IT! So awesome Kitty! It was so great having you be a part of the project. I love that you tried 7 posts in 7 days for 4 weeks… and at the end decided that 3 posts in 7 days makes the most sense for you. I always hear that posting more is good… that posting shorter is good… and that posting consistently is good… so if you’ve decided on 3x – MWF or whatever that might be, that’s great! It was so great meeting you Kitty – hope to see you SOON! I’ve actually missed it, and I have LOTS to blog but I can only do ‘real-life’ when I’m not on shift, so it makes sense for me to have self-imposed limitations. Besides, there’s no harm in an extra post or two on occasion is there? I just commented on your sobbing lost Word post. BTW, another thing you can do in WordPress — whether you write directly in WP or write in word and copy over — is to SCHEDULE posts. So if you want to have 3 or 4 or 7 posts a week… but sometimes you write more or less, instead of hitting the PUBLISH button… where it says “Publish Immediately Edit”… if you click EDIT you can type any day you like. So let’s say today is Thursday and I write 4 posts. I can hit Publish for the 1st one, schedule the 2nd for tomorrow, and then 1 each for Saturday and Sunday. Then I head off for a well deserved long-weekend spa trip… and my millions (hahaha) of loyal readers still get daily goodness from me! Yay! We’d both like to thank you for the really kind words! We’re sad that we couldn’t keep up with the rest of you last month, but we’re happy we got involved anyway. We’re really glad you’re enjoying our posts and we’re only sad that we didn’t see this post sooner! i just read what you wrote about my blog…”The League Of Extraordinary Fashionistas are certainly fans of Royston Vasey’s ‘special stuff’” hmmm never heard of him, but i DID have lots of head injuries as a child so maybe that is it? thanks for all the compliments i really appreciate! It’s a reference to a very dark humoured British show called ‘The League Of Gentleman’. You either loved it or hated it, I adored it! As for lots of head injuries as a child? Crikey! Well whatever it is, it’s all good but please, no head-bangin’! Am I allowed to say ‘Arrgggghhhh’ Again?